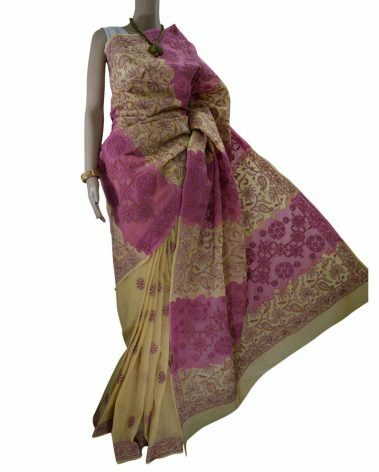 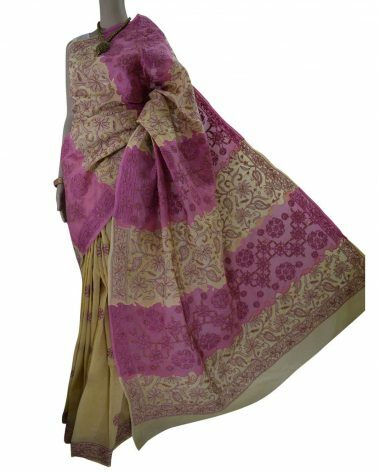 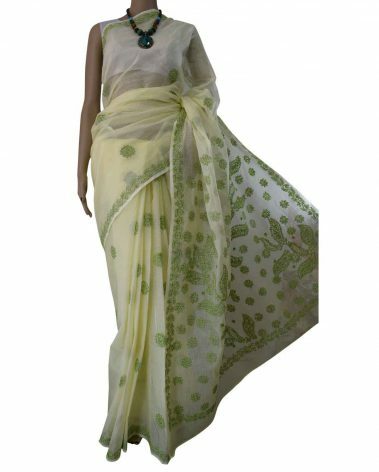 Exclusive Designer saree done on fine Cotton and delicately handcrafted with exquisite Chikan embroidery is itself a killer. 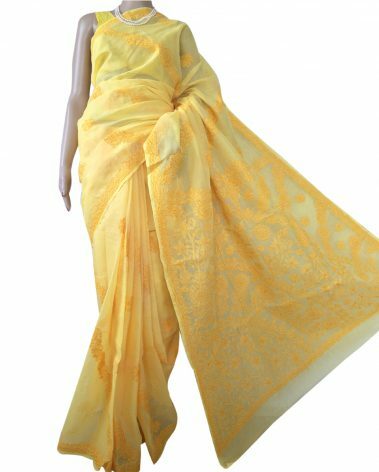 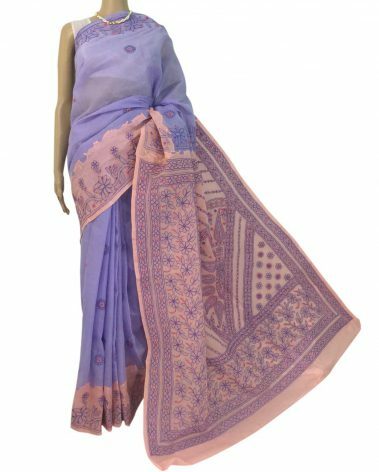 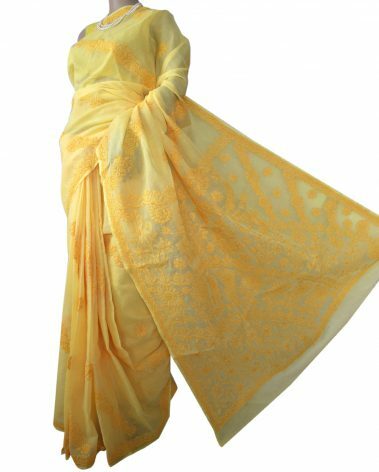 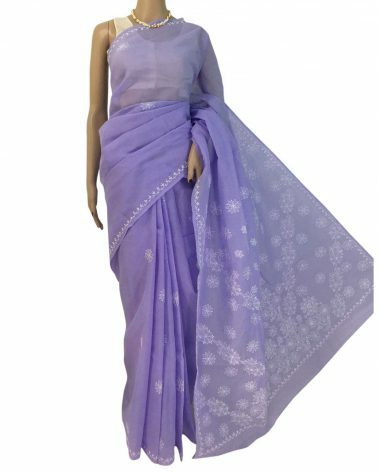 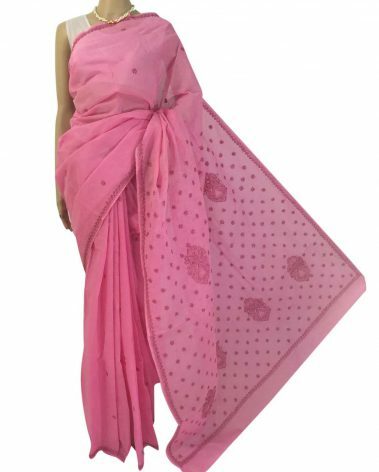 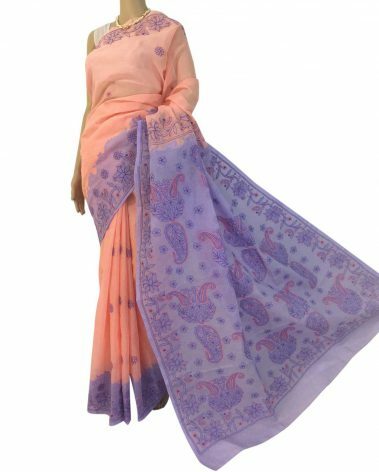 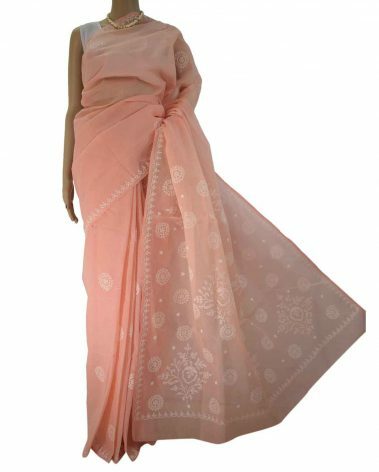 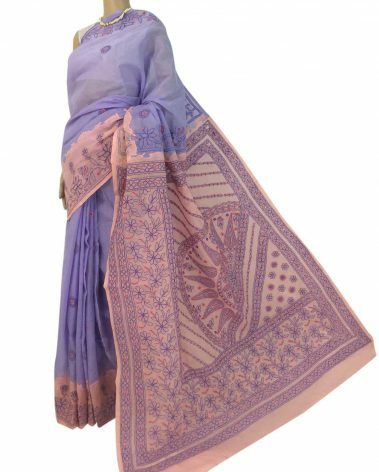 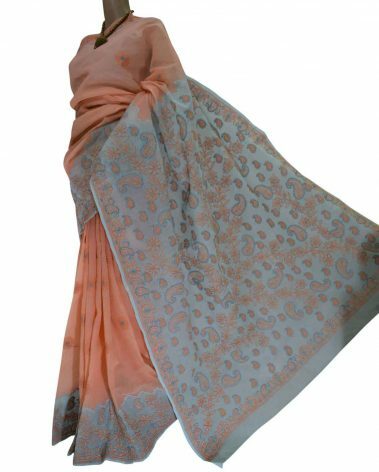 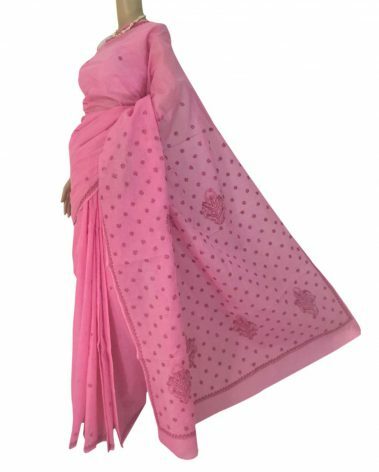 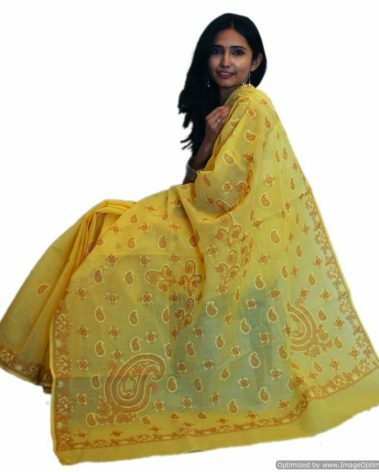 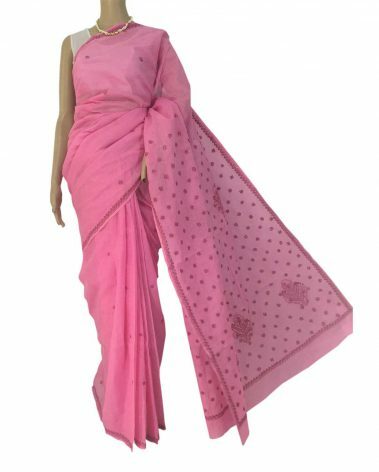 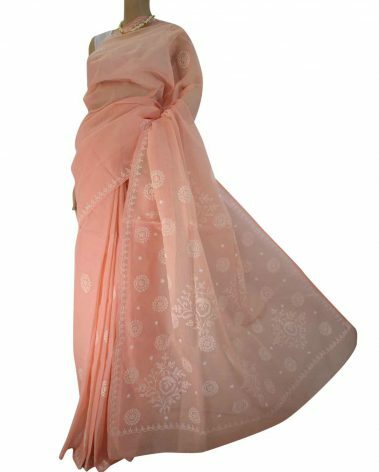 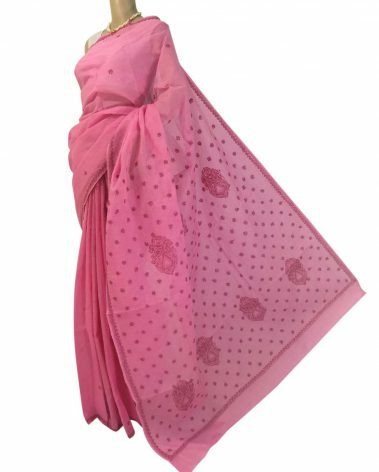 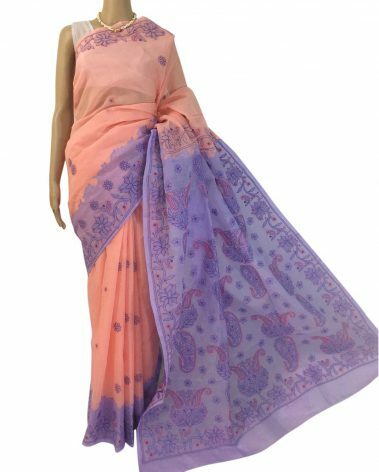 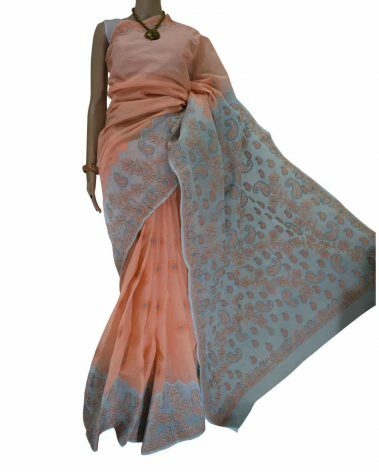 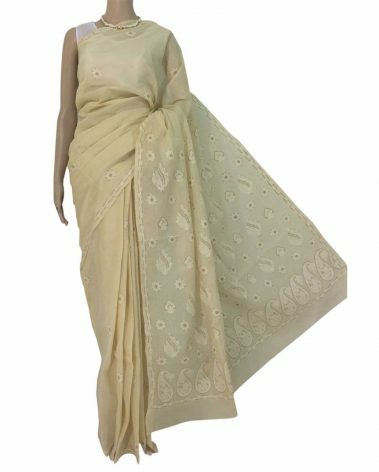 Using popular techniques of Bhakia(Shadow Work), Phanda, and Murri crafting this cotton beauty to drape you to perfection. 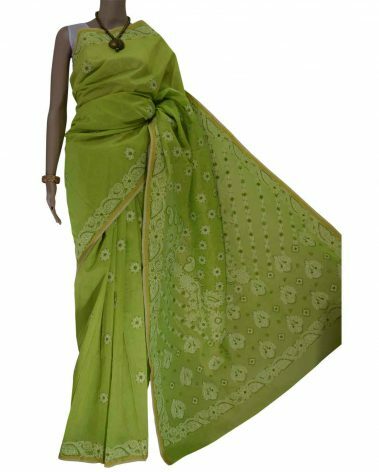 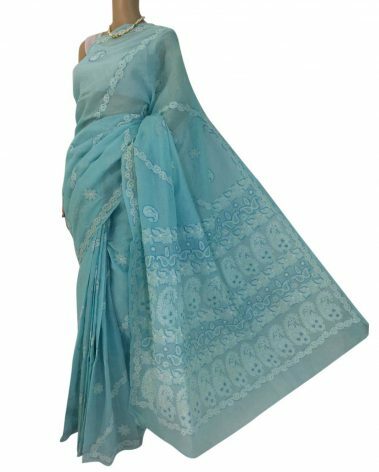 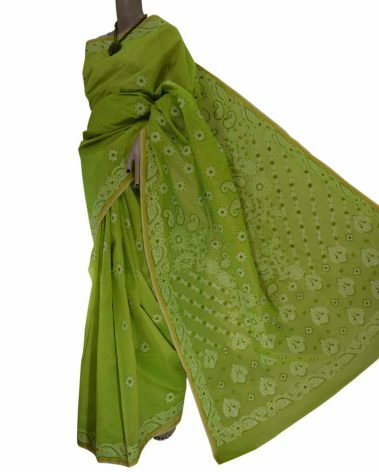 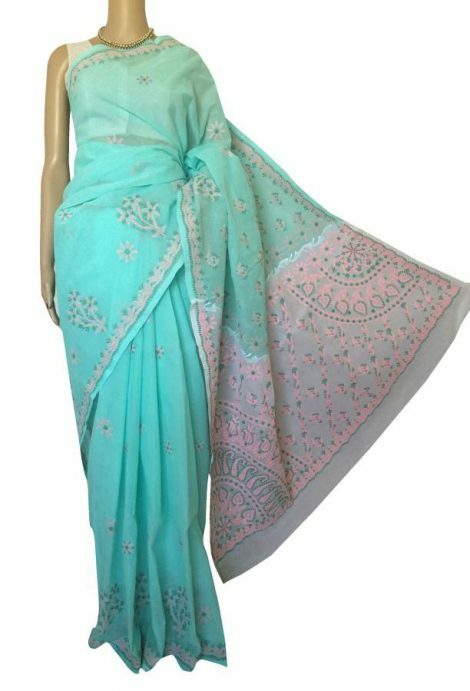 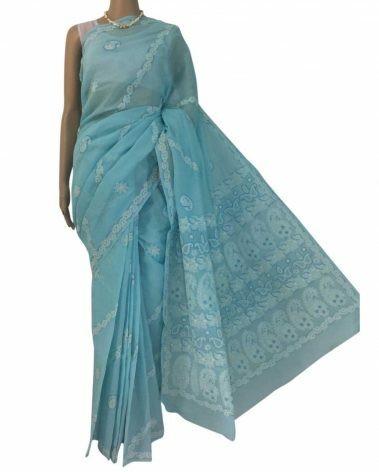 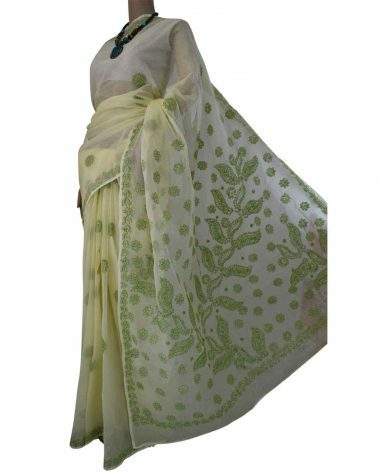 Sea Green saree with green & peach work exquisitely spread across the body with neatly contrasted white pallu attached using traditional Daraz work makes this a materpiece. 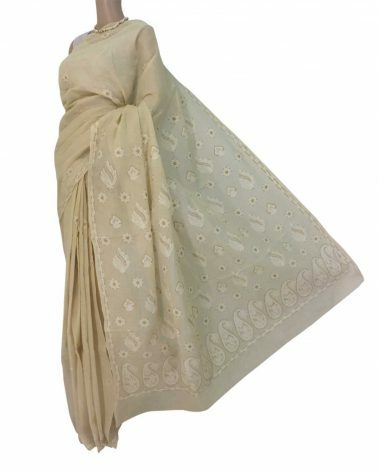 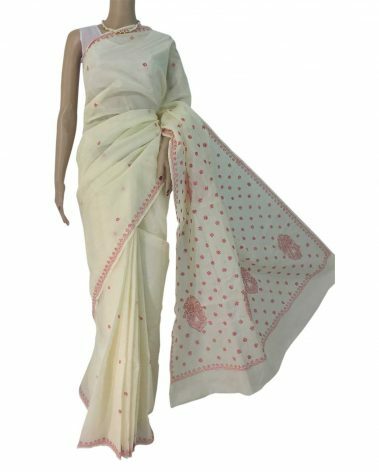 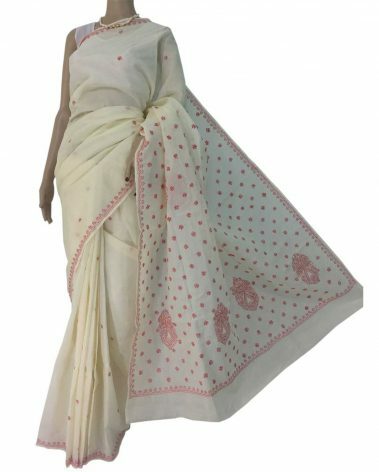 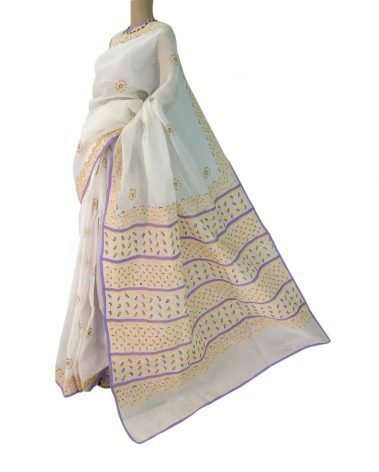 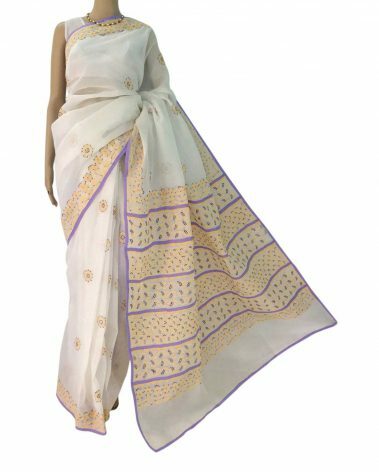 White pallu has a variety of Chikan stitches and unique motifs, making it look uber attractive. 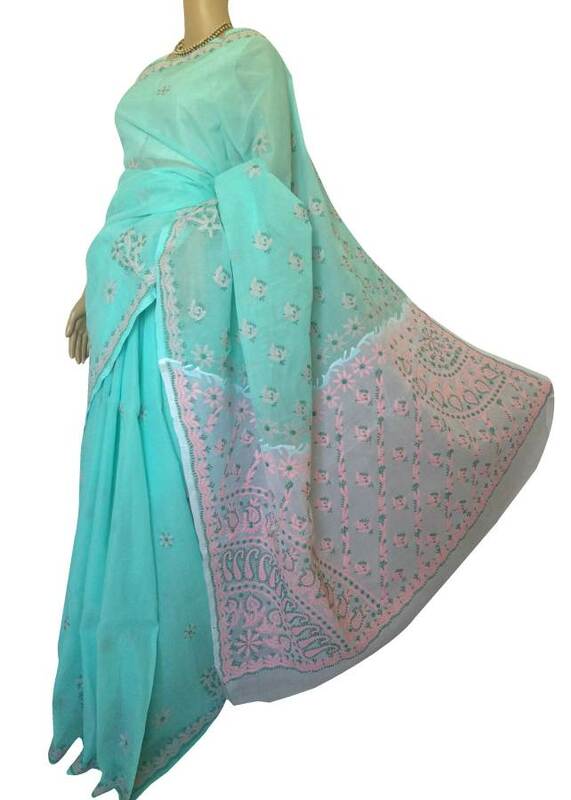 Blouse: Embroidered White blouse is included.